Better customer service. I went through 9 months of call after call to get some things straightened up and received many inconsistent messages. There were three very rude individuals. The one that... Better customer service. I went through 9 months of call after call to get some things straightened up and received many inconsistent messages. There were three very rude individuals. The one that sticks out the most is Zoe. I never received what I thought was ordered and the man that came out to sell me the program, Demetrius Hall just had me sign the tablet and did not allow me to read the contract. I just initialed at the place he pointed to. He did not do a transfer of services as requested, but charged us for a new service and charged double the initial cost. I was told I would get a credit for these services applied to my account, but never did and the story was changed. Also, I was paper billed and electronically billed and I paid BOTH!. It took me months and months to get that cleared up. 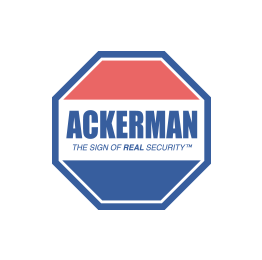 I have used ackerman in home and business settings for years, but now will not recommend them to anyone because the lack of customer service, lack of customer service rep. knowledge, dishonest sales staff, and rudeness of some of the customer service both by phone and email. Thank you for allowing me to give feedback.